- Suited for: shampoos, lotions and most of other liquids. 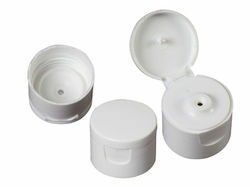 Coupled with our bottles, we have developed a wide range of flip top caps (including tamper proof caps) for our customers, ensuring high durability and attractive designs. 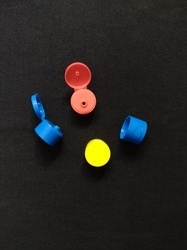 In order to keep pace with never ending demands of the customers, our company is instrumental in presenting an excellent quality assortment of Flip Top Bottle Cap. Leveraging over the skills of our qualified team of professionals, we are engaged in providing Flip Top Cap.